Looks like a fun book, nice pressie too, always useful. Ooo that birthday book looks lovely. Never occured to me to use Bind It All to do a book like that. Mmmm may be a few birthday gifts this year. 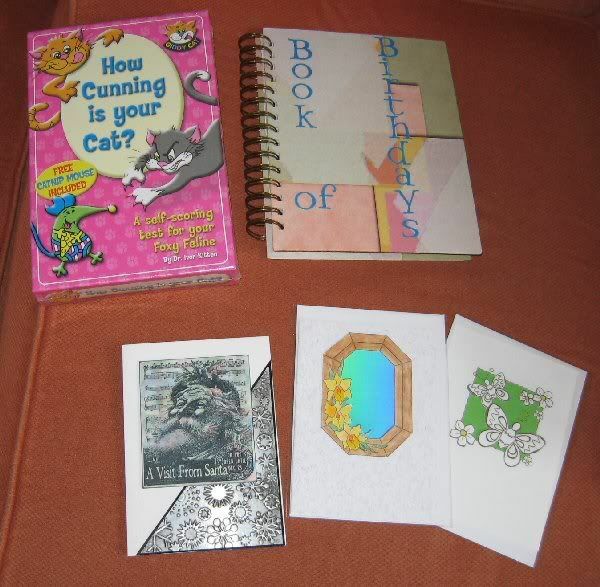 Great idea the b/day book and the cat book looks like it could be a good laugh, lol.